In the summer time one thing I love to do is make smoothies. have a big smoothie to drink for extra energy. the blender, making it even easier to create. the comment section! I love to see everyone else’s favorites. Okay, off to bed for now, 5:15 comes way too early! Great job! Thanks for sharing them at the #whattodoweekends party! 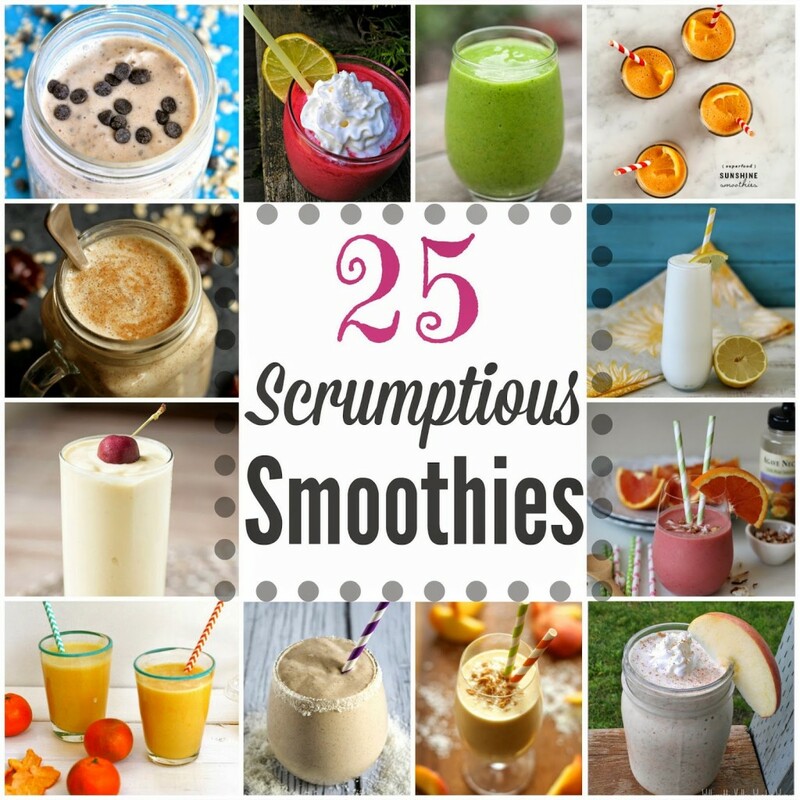 I am always looking for new smoothie recipes and these look so good! Thank you so much for linking up at Tasty Tuesday! Your recipe has been pinned to the Tasty Tuesday Pinterest board! Please join us again this week! Great round-up of smoothie recipes! Thanks for sharing. Stopping by from Small Victories Sunday Linkup. I've been on a smoothie kick this year, so pinning this one. I haven't done any advance preparation yet. Lately I haven't even been following a recipe – just throwing ingredients into the magic jack. Maybe there is hope for me to become a cook yet. I love these ideas. We were doing well making smoothies for awhile but fell off the wagon. Time to get back on! Thanks for sharing with Small Victories Sunday Linkup and hope you join us again this weekend! Pinning to our linkup board and my Smoothies to Try board.